President Rudy Duterte personally welcomed the 128 stranded OFWs who arrived from Saudi Arabia, most of them lost their jobs because of the slowing construction business in the Kingdom of Saudi Arabia caused by the tremendous drop of oil prices in the global market. Pres. Duterte made several promises to the OFWs aside from giving them cash money worth P5,000 each on the spot at the airport on top of the P26,000 previously promised by OWWA and DOLE. 1. OFWs can borrow money from the government to put up a business. 2. Stranded OFWs can visit Malacanang and he will help in times of need. "In the meantime, if it spells hunger for your family,(to the OFWs present at NAIA) do not hesitate to call me. O pumunta ka sa Malacanang. I will order my men to let you in. 3. Pres. 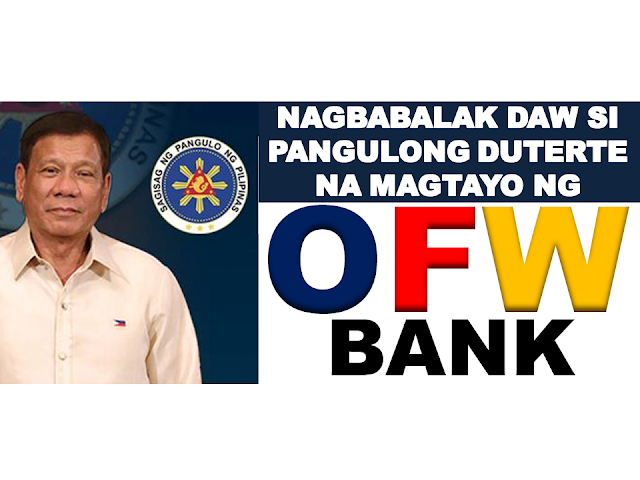 Duterte promised to put up OFW Bank. 4. 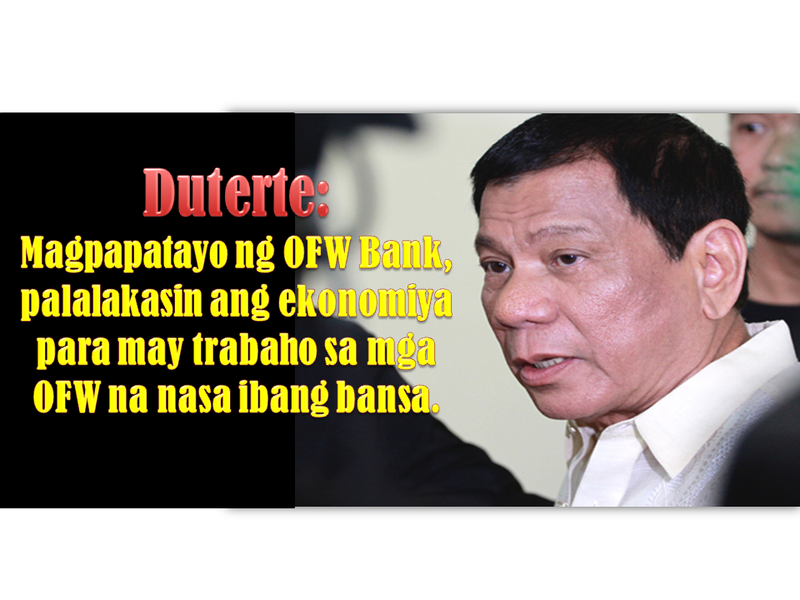 He promised to improve the economy and make it stronger so there will be no need for OFWs to go overseas. 5. Pres. Duterte promised to help in the educational tuition of the stranded OFW kids.